It can be overwhelming when trying to decide what to do while visiting Charleston with all the remarkable attractions available throughout the Lowcountry. I've tried to make it easier for you to choose the attractions that appeal to your interests by separating them into simple categories. Now you can find all the best things to do in Charleston, SC along with the ones that peak your interests, right here with only one click. Below are all the attractions of Charleston listed by category. Simply click on the category name to display the sites and details of each one. Enjoy the search and happy sight-seeing! Click on a category below to view details of this city's main attractions. 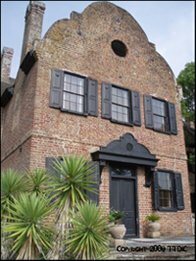 While there are so many things to see and do in the area, there is a large list of Charleston attractions that actually define the area. Here you will find the most sought after places of tourists when they visit the Lowcountry. And don't be shy to visit since they are in high demand... these are places you'll WANT to experience! Since there is such a long list of things to do here, you may want to start planning your return visit! Gracing the outskirts of Charleston area are the beautiful and historic plantations. Each has a unique story to share and offers its own contributing flare to Charleston's history. The Holy City is known for its rich culture and history. 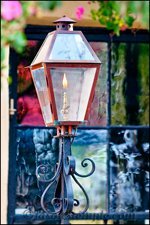 The museums showcase every nook and cranny of the area's past in successful attempts to enlighten the local public and all visitors. There is even a Children's Museum providing a great place for kids to dive into interactive exhibits. 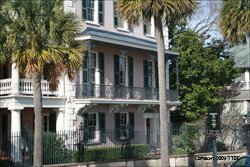 The face of Charleston is defined by the very historic buildings that still remain abundantly throughout the area. The architecture is amazing! It's not called the "Holy City" for nothing! Where the Civil War all began! These are something to see! If you long to get a flavor for what it was really like to live in the old days in the heart of it all, you may want to check out some of these houses. You won't be disappointed. A little "get away from it all" action may be up your alley. With playgrounds, trails, dog parks, rock walls, fishing... the parks have a lot to offer! Have any favorite sites you'd like to share? Submit your story here! Or see the stories of others. 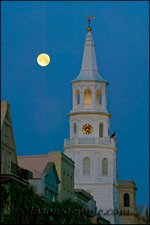 Charleston Tourism Businesses: SUBMIT ATTRACTION INFORMATION HERE. We will be happy to include you on our site for free to better serve our visitors! Have You Been to Great Charleston Attractions? Let others know about your experience with attractions of the Lowcounty and help our visitors get a glimpse inside the greats... or even a look into those off the beaten path.